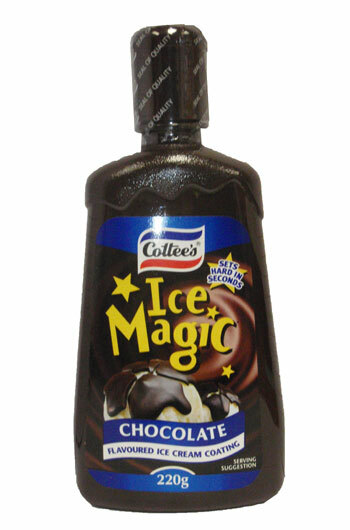 A great tasting chocolate sauce which sets hard in seconds once poured over ice cream. Perfect for making chocolate bombs just like at the cinema and great fun for kids to draw shapes and pictures with. Palm Oil (with Antioxidants (E319)), Sugar, Cocoa Powder (9%), Skim Milk Powder, Emulsifier (E471), Flavours.